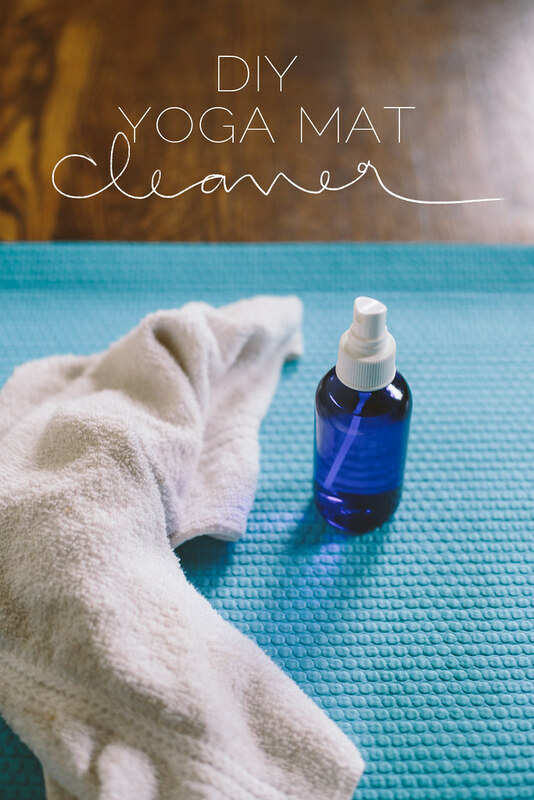 I've been wanting to make my own yoga mat cleaner for quite a while, but even more so lately as my mat has been showing a little wear and I figured it needed some love. The mat cleaner at my yoga studio doesn't smell very good, so I wanted my own which had a pleasant aroma instead of smelling like chemicals. 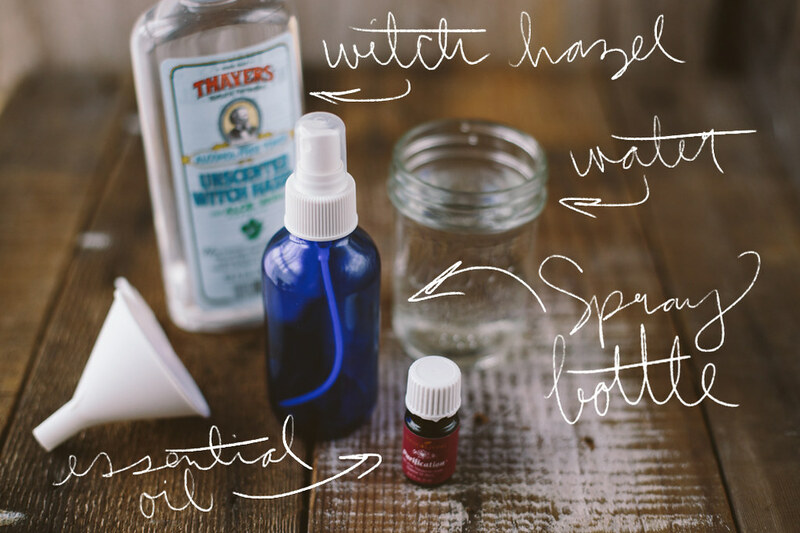 I looked around at a few yoga mat cleaner recipes and I liked that some had witch hazel instead of white vinegar. Vinegar is great, but I am not a fan of the smell. Witch hazel actually is pretty nostalgic for me because I used to use it when cleaning my horse's legs, so I went with witch hazel (though you can definitely use vinegar if you have that on hand and don't want to bother going to the store!). The cool thing about this recipe is that it uses essential oils! In doing research for figuring out what recipe I wanted to make, I saw that many included essential oils, which got me instantly excited. I'm continually blown away by how many uses they have. 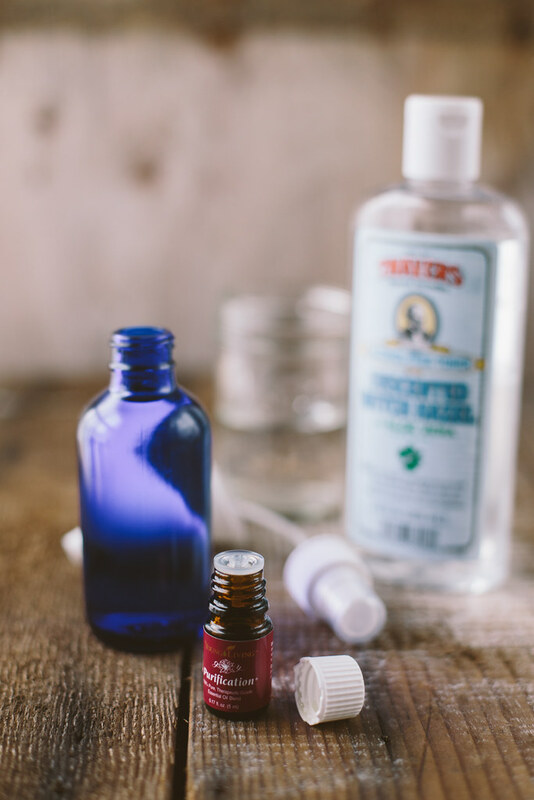 When picking essential oils for this recipe, I'd definitely recommend choosing ones that have antibacterial effects, as they'll help keep the nasties off your mat. Of course, you'll also want oils that smell good so figure out what kind of blend works well for you. I decided to go with one of Young Living's blends specifically designed to fight bacteria and eliminate yucky odors: Purification. It's also one of my favorite smelling oils. I feel like it smells like delicious ginger and citrus, despite having neither ginger or citrus essential oils in it at all! It has Citronella, lemongrass, rosemary, melaleuca alternifolia (tea tree oil), lavandin, and myrtle. 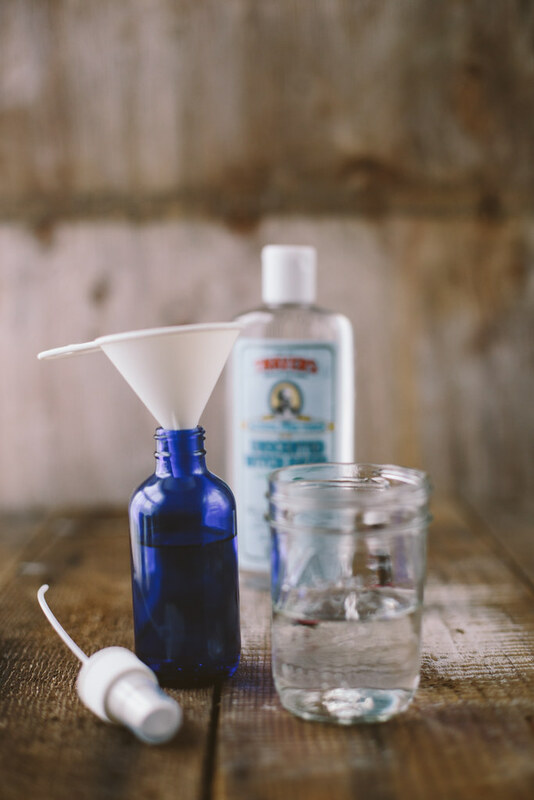 A perfect mix for using in yoga mat cleaner! Another use that I've found for this spray is helping with my stinky climbing shoes! Climbing shoes are notoriously smelly, and I haven't found that lysol type sprays help too much. Purification is supposed to be a great essential oil blend to help remove icky smells, so I've been using this spray in my climbing shoes after climbing sessions as well. Multi-use, anti stink, bacteria fighting spray? Boom. 3. Add essential oils. I'd start with two drops and then go up from there. You can always add more, but it's a bit harder to dilute them once you've already filled your bottle! If you're using a few different ones play around with which scents you really like mixed together!